Thunderbolt Clean Energy — Energy. Environment. Experience. Impact. Eric (Ric) Redman, CEO of Thunderbolt Clean Energy, co-founded the firm in 2007 to help clean energy technology companies successfully develop, commercialize, and deploy their climate-friendly products, systems, and processes. The firm has stayed true to its roots. Through Thunderbolt, Ric assists new energy technology companies with product development, market intelligence, positioning, strategic partnering, and project development, all with the aim of successful commercialization and widespread adoption. 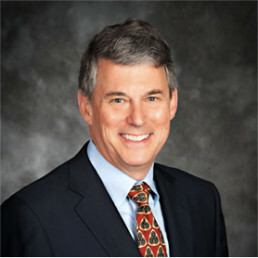 Until 2014, Ric served as CEO & President of Summit Power Group. Ric led Summit’s development of climate-friendly power plants, including wind, solar, and carbon capture projects in the U.S. and abroad. In doing so, Ric has worked extensively in China with leading companies in the electric power, hydrocarbon, engineering, and finance sectors. Before joining Summit, Ric led the Energy Practice Group and the Clean Tech Practice Group of a major international law firm, and was consistently chosen for Best Lawyers in America in energy. Through Thunderbolt, Ric now advises law firms and others on how to broaden their energy practices to include a focus on climate and thus to help clients avoid the pitfalls, reduce the risks, and grasp the opportunities that climate change and climate-related policy developments present. Ric also works with other entities committed to the deep decarbonization of the global energy system. He serves as a Senior Policy Fellow for decarbonization studies at the School of Global Policy & Strategy (GPS) at the University of California San Diego (UCSD); and as an Advisory Board member for organizations ranging from Aligned Intermediary (helping long-term investors channel funds into climate infrastructure) to Scottish Carbon Capture & Storage, the leading UK research partnership for CCS. Thunderbolt can also call as needed on the professional services of other leaders and experts in the energy and climate sectors. Thunderbolt provides an open platform and talent exchange to match specific experience and expertise to specific client needs. Consulting firm for energy, de-carbonization, and climate matters, including public policy, projects, and selected technology companies and initiatives. 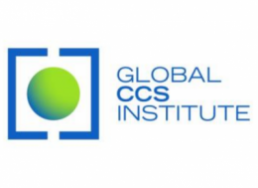 GCCSI is the world’s leading policy advocacy and technical support organization for carbon capture & sequestration as a measure to aid climate. 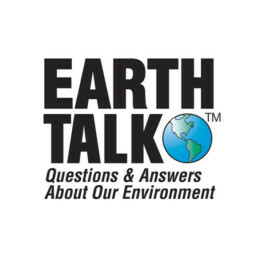 EarthTalk provides content on environment, climate, sustainability, and conservation to print and electronic media outlets nationally.